Represent your country and culture at International Fair, an annual occasion full of food, performances, and activities from across the world. Tickets are $8/adult and $5/child. Click here to register. 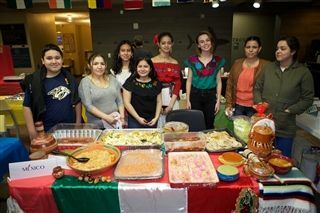 The annual student-organized International Fair is coming up, and the High School International Club is eager to rally participation across all divisions. 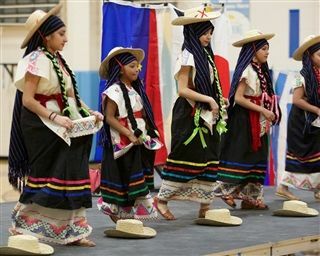 The International Fair will take place 5:30 to 8 p.m. Friday, March 29 in the Sperling Gym and Cafeteria. The theme this year is “Languages of the World,” and we are excited for the school to come together and learn more about cultures and languages from across the globe. Join us for a wide variety of international food and drinks, activities, and entertainment. Tickets are $8/adult and $5/child under 10 with a maximum of $20 per family. 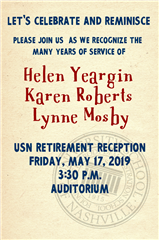 Click here to purchase tickets in advance. leading an international activity (henna, origami). Please note that you don’t have to be from the country you are representing to participate in booths, performances, or activities. You are also welcome to collaborate with others. Please fill out this form if you are interested in sponsoring a booth, performing, or leading an activity. 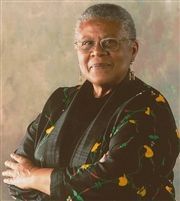 One of the student organizers will follow up with you to confirm that you have signed up to participate. Please email Shriya Karam '19 or faculty advisor Pat Miletich if you have any questions. Thanks for your support. We are looking forward to a great International Fair. 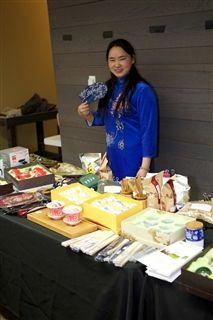 Tea ceremony and sampling at last year's International Fair. The Mexico booth last year. 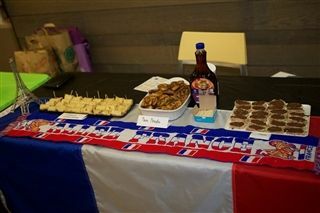 The France booth last year. A group of dancers from last year.